Access to and use of this website are subject to the following terms, conditions and notices (the "Terms of Service"). By using the Services, you are agreeing to all of the Terms of Service. At JSP FASHION we are committed to protecting the privacy and security of our customers and site visitors, including you. Our team members are customers themselves, both of JSP FASHION and other Internet sites. We therefore fully appreciate and respect the importance of data privacy and security on the Internet. You must not misuse this website. You will not: commit or encourage a criminal offence; transmit or distribute a virus, trojan, worm, logic bomb or post any other material which is malicious, technologically harmful, in breach of confidence or in any way offensive or obscene; hack into any aspect of the service; corrupt data; cause annoyance to other users; infringe upon the rights of any other person's proprietary rights; send any unsolicited advertising or promotional material, commonly referred to as "spam"; or attempt to affect the performance or functionality of any computer facilities of or accessed through this website, in accordance of European and international law. JSP FASHION will report any such breach to the relevant law enforcement authorities and disclose your identity to them. The intellectual property rights in all software and content made available to you on or through this website remains the property of JSP FASHION or its licensors and are protected by copyright laws and treaties around the world. All such rights are reserved by JSP FASHION and its licensors. You may store, print and display the content supplied solely for your own personal use. You are not permitted to publish, manipulate, distribute or otherwise reproduce, in any format, any of the content or copies of the content supplied to you or which appears on this website nor may you use any such content in connection with any business or commercial enterprise. JSP FASHION reserves the right to close an account if any user is seen to be using proxy IPs (Internet Protocol addresses) in order to attempt to hide the use of multiple accounts, or disrupts any of our services in any way. You own all of the content and information you post on the website. By submitting any material to us, you agree to these Terms and Conditions. 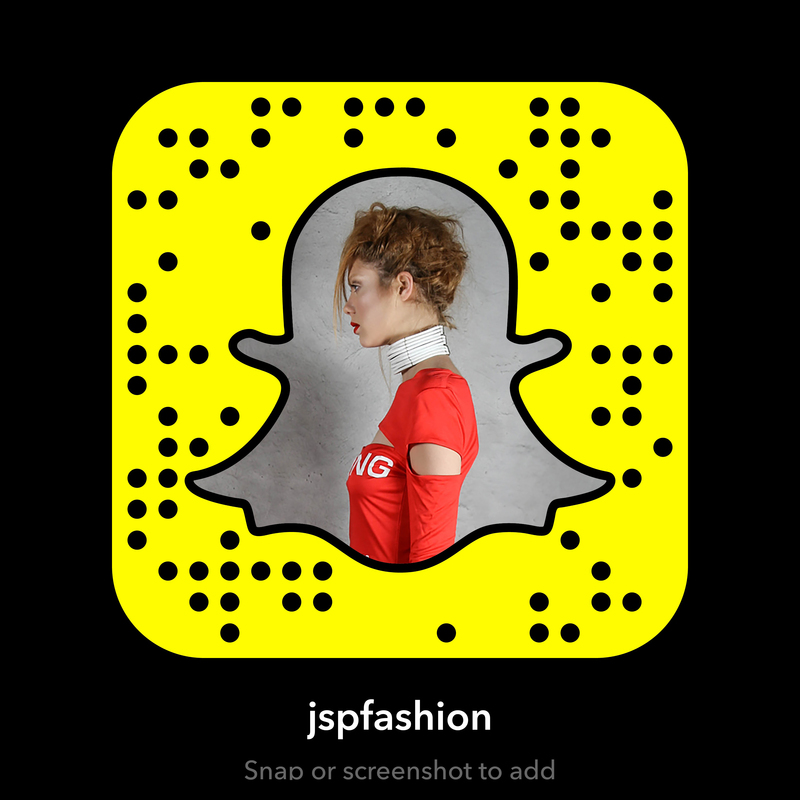 If you do not want to grant JSP FASHION the permission set out above on these terms, please do not submit or share your contribution on the Community Areas. The Service provides you with the ability to interact with social media services. This may enable integration and/or access to your social media accounts. We do not control those social media services, your profiles on those services, modify your privacy settings on those services or establish rules about how your personal information on those services will be used. You and the social media service providers are in control of those issues, not JSP FASHION. You are encouraged to read all policies and information on the applicable social media services to learn more about how they handle your information before using any such features made available to you on our service. We are not responsible for any acts or omissions by any social media service provider or your use of features that come from their platform. In order to contract with JSP FASHION you must be over 18 years of age and possess a valid credit card or PayPal account. JSP FASHION retains the right to refuse any request made by you, and JSP FASHION reserves the right to close your JSP FASHION account at its sole discretion. If your order is accepted we will inform you by email. When placing an order you undertake that all details you provide to us are true and accurate, that you are an authorised user of the credit or debit card used to place your order and that there are sufficient funds to cover the cost of the goods. Pricing and Availability: Whilst we try and ensure that all details, descriptions and prices which appear on this website are accurate, errors may occur. All prices are inclusive of VAT. Delivery costs will be charged in addition; such additional charges are clearly where applicable and included in the 'Total Cost'. JSP FASHION will provide refunds to the customer only in case of faulty merchandise. Faulty merchandise is considered when merchandise shows production faults and damages. Such condition has to be proven by a customer with photos of faults or damage. JSP FASHION will not be responsible for any faults or damages of merchandise, caused by postal service or delivery. You can return any item for a refund, within 10 business days of receiving your original order. In case of wrong item size, colour or model, JSP FASHION will provide a desired item to the costumer, within 15 business days after the returned item is delivered back to JSP FASHION. JSP Fashion will not be responsible for delivery costs in case of return item, unless the production faults or damages are proven. In such case, JSP Fashion will take over the delivery costs. JSP FASHION will consider a returned item eligible only if the latter is in same condition as it was while sent to the customer. In the unlikely event that an item is returned to us in an unsuitable condition, we may have to send it back to you. The goods are your responsibility until they reach our warehouse, so make sure they're packed up properly and can't get damaged on the way!. A shipping cost of an item or a bulk of pending items is added onto billing before total cost. We ship worldwide, with regular postal services. Shipping costs vary according to region where customer is buying from and weight of total package. JSPFASHION claims no responsibility for any import customs and customer country or region regulations, tariffs and import laws. Also, JSPFASHION is not responsible over damage, caused over duration of shipping, from submission to delivery of item to the customer by a postal service. Shipping duration depends on shipping service thus JSPFASHION claims no responsibility over shipping duration. Approximate shipping duration is up to 30 business days. SIGN UP TO RECEIVE INFORMATION ABOUT NEW ARRIVALS, SPECIAL OFFERS, DISCOUNTS AND FUTURE EVENTS.